These companies offer variation in fare in different timings. They are convenient and reliable. The government of Pakistan, both federal and provincial, remains in a deep slumber. It does not counter any illegal business activity but only takes action when the project strengthens its roots in society and provides an alternative to public woes in a certain segment. It is the government’s responsibility to provide adequate, reliable and secure modes of transport to the public to commute from one place to another. Unfortunately, the government has completely failed to do any such thing and hence, most of the country’s transport is in total control of the private sector. The tram service, which was operating in Karachi before independence, and was considered a safe and convenient mode of transportation, was shut down in April 1975 because of the tussle between various stakeholders. Nawaz Sharif, in his first tenure as the prime minister of Pakistan in 1990, introduced the Yellow Cab scheme. A vast number of yellow cabs were bought by educated youngsters from middle class families who earned their income by operating these taxis in their spare time. The Yellow Cabs scheme was very successful in its initial years. The educated drivers even received approval and applause from commuters who found the fares of air-conditioned taxis fixed with electronic meters competitive or in some cases, lower than the conventional taxis and rickshaws operating in their respective cities. The scheme, however, experienced a downfall when Pakistan Peoples’ Party (PPP) in its second tenure made it compulsory for all Yellow Cab drivers to wear uniforms. Due to this order, educated people pulled out of the transport sector and it once again fell into the hands of the transport mafia, who has been running the sector for decades. The transport situation, especially in metropolitan cities, is a grave issue. Buses are in deplorable conditions and have closed operation on routes which they consider “non-profitable”. According to a report, buses are to ply on more than 300 different routes in Karachi but they are operating on only 115 routes, causing huge difficulty to commuters. Taxis and rickshaws, plying on roads of the city, are charging arbitrary fares and the public, with no viable option in sight, has to avail these services. Considering the existing pathetic situation of our public transport, two multinational transportation network companies decided to launch an app-based car booking service in Pakistan. From the very beginning, they received a positive response from the masses. 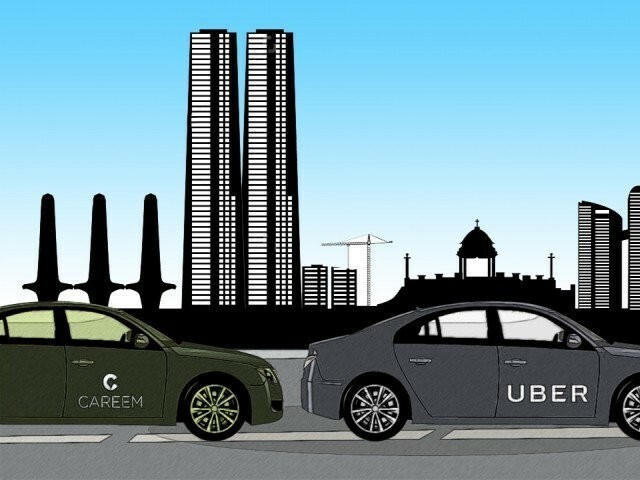 Careem, a Dubai-based company, started its operations in Pakistan in 2015, while the world renowned company, Uber, launched its services in Pakistan a little later in 2016. These companies are different from the conventional transportation companies because the company itself does not own the cars, it acts as middleman to connect the taxi driver with the intended passenger through their respective mobile app. Careem even offers a different range of cars to the customer so that the passenger can select the vehicle according to his or her budget. These companies offer a variation in fare at different timings, and are convenient and reliable. Initially, everyone thought that these app-based taxis would be more expensive than the conventional rickshaws and taxis, but time and again, they were proved wrong. My family often relies on the conventional modes of transport. For a distance of 14 kilometres, rickshaws would charge them between Rs325 to Rs375, whereas with Careem, in an air-conditioned car, would cost them between Rs225 to Rs275 for the same distance. Similarly, at a recent family wedding, my cousin called in one of these app-based services for a family who didn’t have their own car. They reached home in half the price of what a conventional rickshaw was costing them. To make the journey cheaper, these companies also give special offers. Females consider travelling in rickshaws safe but in the current scenario, I have observed many women availing Careem or Uber’s services confident that they have nothing to worry about and are safe. Uber is operating in more than 536 cities of the world while Careem is operating in 32 cities of the world. Wherever they are operating, they are following the laws and regulations meted out to them. For example, in India, a person who wants to become an Uber driver has to obtain a business license. It is also the responsibility of Uber and other mobile-app based taxi services to pay taxes from all the fares collected from customers. In Pakistan, Careem and Uber are not only providing safe, convenient and inexpensive rides but are also providing an alternate way to earn. It is a general belief that drivers of these services are earning Rs 70,000 to 80,000 per month, which is a decent income for any average Pakistani. Furthermore, Careem also went a step ahead and included female drivers in its fleet. Many people, university students or friends, avail one taxi which makes their ride cheaper. In a country like Pakistan, where the job market is tough and employment is low, these app-based taxi services have opened the door of self-employment to otherwise unemployed or under-employed youngsters. At the moment, there is no other industry or service in the country that has created close to 10,000 new, well-paying jobs in a matter of just over a year. As these app-based taxi services are strengthening their presence in Pakistan, provincial governments in Punjab and Sindh wake up from their deep slumber to regularise these services. For the past two days, service operators have been facing uncertainty and the service remained inoperative for a day due to fear of confiscation. It is then good to hear that some sense prevailed and both the provincial governments are now working to regularise the service. I hope while bringing new regulations for these vehicles, the government brings different ideas and not bound these cars to obtain fitness certificates or route permits. I am sure that most conventional taxis and rickshaws plying on city roads are doing so without route permit while their fitness is unsatisfactory. A fitness certificate is granted to these vehicles by bribing officials of the concerned departments. Buses, which operate after obtaining route permits, are seen violating routes with impunity. Like India and many other countries of the world, the government of Pakistan has the authority to bring these services under the tax net. I suggest the government to follow the Indian model of tax collection where the company is responsible for collecting and depositing tax at the national exchequer. The government also needs to revisit their existing decades-old laws and should frame new regulations, instead of asking vehicles plying under Uber and Careem to follow those laws. 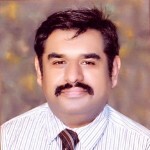 I hope that unlike in the past, where a tug of war destroyed an alternate transport option and the general public was left at the mercy of the transport mafia, governments of Sindh and Punjab in consultation with tax experts will devise laws that benefit the country, its business and most importantly, its people. Btw I am not sure if this number is actually true. The average intake is PKR 40,000 – 50,000 without taking the maintenance and fuel costs into consideration. Deduct costs and Uber commission and you are looking at PKR 25,000 – 30,000 monthly income on average.